I received this sample of Tea Ave’s Alishan Jin Xuan Oolong for free, a review of the tea was not requested by the company. As with my other reviews so far of Tea Ave‘s oolongs, I greatly appreciate the simple but informative packaging that they package their samples in. 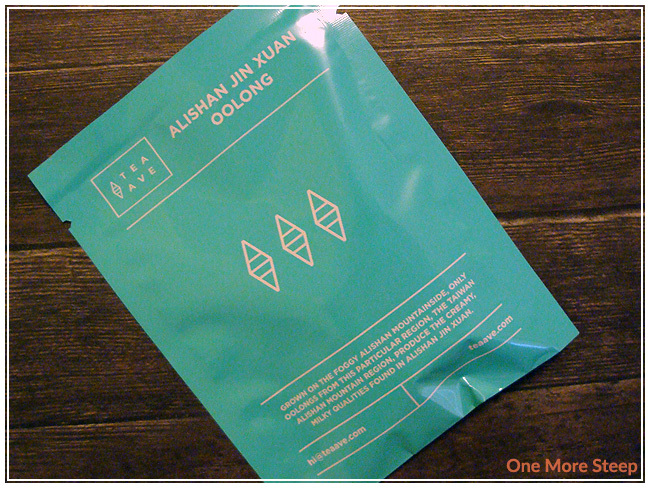 Alishan Jin Xuan is, according to the lovely robin’s egg blue packaging, a tea that is “grown on the foggy Alishan Mountains” and it mentions how that oolong teas from this region (and this region alone) “produce the creamy, milky qualities found in the Alishan Jin Xuan”. 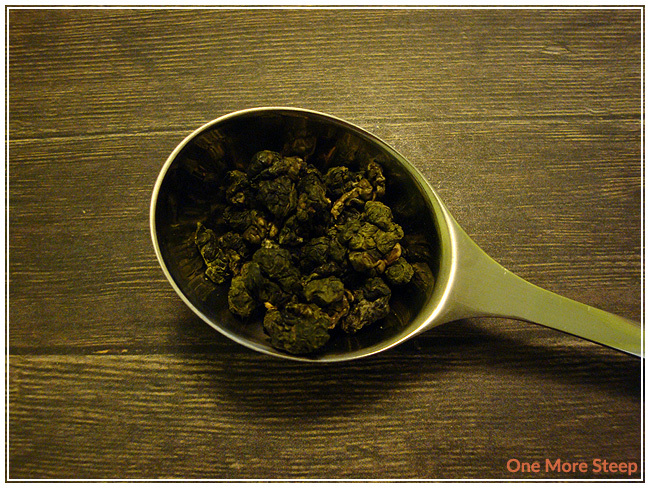 This tea comes from 1100-1600 metres up the mountains, and the tea itself consists of only Jin Xuan oolong. This sample came in a tea bag format, but I was curious this time so I ripped the bag open to see the tea inside. There’s a lot of tea in these tea bags, as evidenced by my Perfect Spoon being quite filled. I decided this would be a great opportunity to put the oolong into the steeping basket of my tea pot, which allows it room to expand. The tea itself has this deep grassy and earthy smell to it, with sweet floral notes as well. It is a very intriguing combination that I’m curious to try. 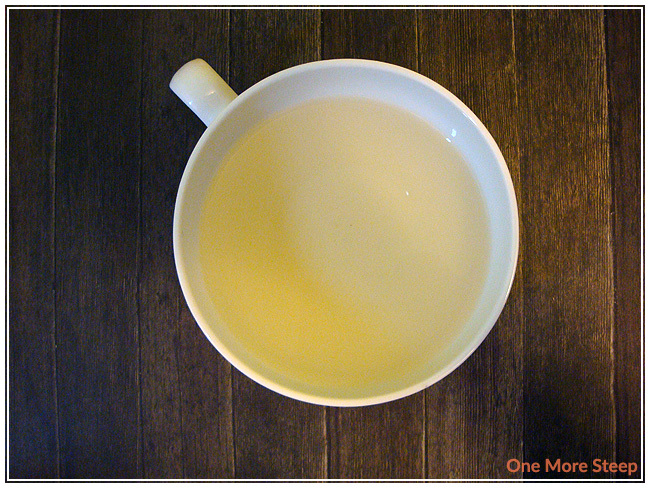 Tea Ave recommends using boiling water (100°C/212°F) and steeping for 1-3 minutes if you’re using it in a tea bag – resteeping up to 3 times. I followed the tea pot instructions, which said to use water that is 95-100°C (203-212°F) for 1 minute and to resteep up to 5 times. Tea Ave mentions that you should add an extra 30 seconds to 1 minute per resteep, which is a pretty good rule of thumb to follow. Because I was using a tea bag’s quantity of tea in a tea pot, I didn’t fill it up too much as I didn’t want to dilute the tea. Alishan Jin Xuan Oolong steeps to a nice pale golden yellow which has a lovely light floral scent to it with some grassy undertones. I found the tea itself has an enjoyable buttery cream quality to it – it almost has a pleasant oily mouthfeel to it but without the oil. It has a very smooth texture to the tea. What I found very interesting as I sipped this tea is that it has an almost salty quality to it that isn’t off-putting at all, this is due to this great floral taste that lingers in my mouth after having a sip. Alishan Jin Xuan Oolong resteeps amazingly well. I resteeped it for a total of five additional times and it had the same complex combination of flavours every single time. It resteeps so well, and it was nice to just have multiple cups of this tea because it’s so enjoyable. The flavours become a little stronger for steeps 2 and 3, and then wanes a little bit and tastes pretty good for steep six. 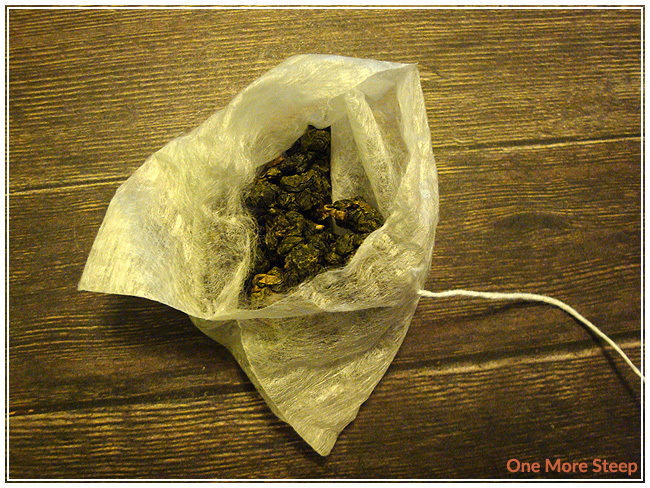 I loved Tea Ave’s Alishan Jin Xuan Oolong. The intriguing smell of the tea before it steeps, coupled with the amazingly complex taste of the tea after it steeps makes this a winner in my book. I think it would be a great oolong to try because it is so complex in terms of the different levels of flavours that the tea has. The intricate nature of the taste makes it an enjoyable cup of tea, I would really recommend resteeping this tea if you have the time to do so, it just makes for a great tasting experience and helps you get more value out of your oolong. This is the last of my sample reviews for Tea Ave. I’ve greatly enjoyed trying their teas and I’m very grateful that Tea Ave was able to send me some teas to try. 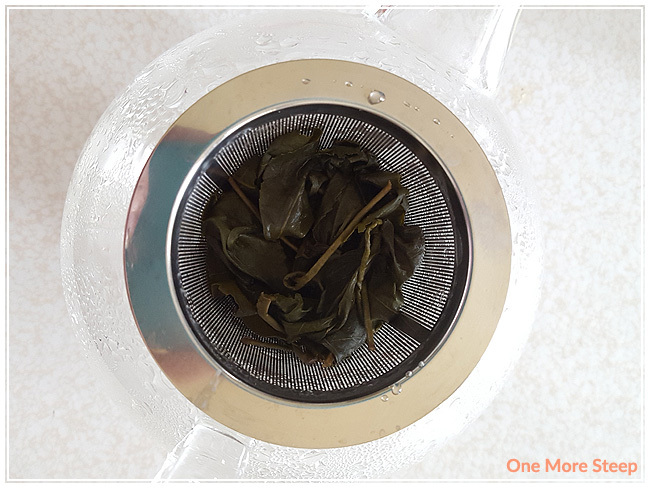 If you missed my previous Tea Ave reviews, I reviewed the follow oolong teas previously: Oriental Beauty, Dong Ding Oolong, Osmanthus Oolong, and Magnolia Oolong.